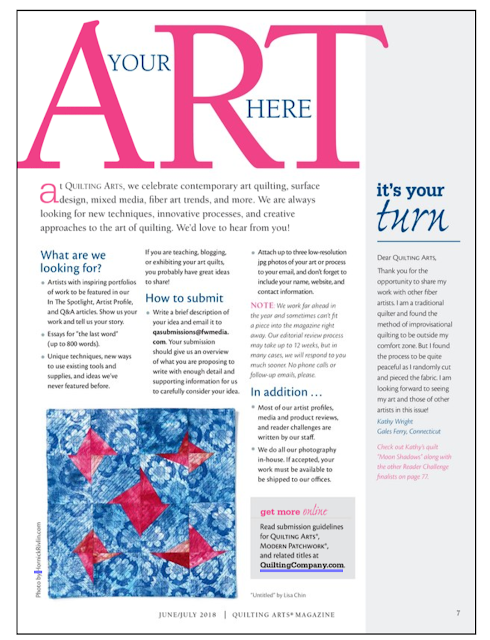 The article I wrote for Quilting Arts Magazine has been published and my copy is here! 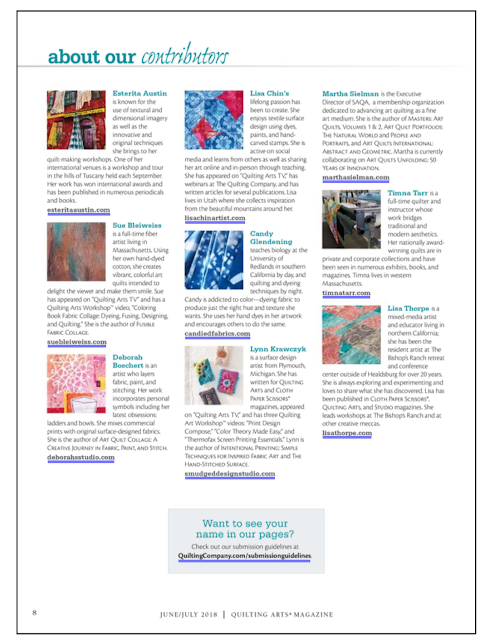 It is moments like these when I am listed alongside artists I admire, that I feel humbled. There are so many talented people out there (just check social media!). How did I get here? How did I get lucky enough to be a part of this publication? Luck might be a part of it, but It has also been a lot of work too. Work I have enjoyed immensely. I am grateful to be a part of this fiber community. Keiko is now famous with her photo featured in my studio article. She is a big part of my studio! I'm not sure which editor wrote the article about my studio but I really like what she wrote. I sent in answers to some questions and then she made it all sound fabulous. 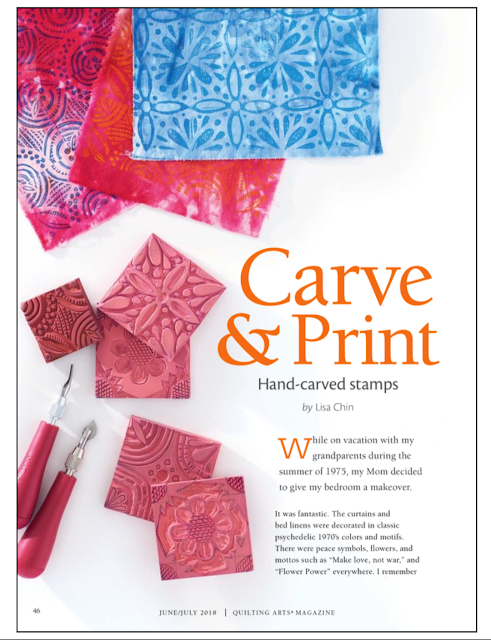 I am also excited to share my process of creating a repeating pattern stamp. I look forward to seeing what designs people create. I didn't know they were going to include my little quilt on this page, and it means a lot to me because I remember staring at the "Your Art Here" in QA for years, dreaming that one day it would be my art featured here, and now, it is! 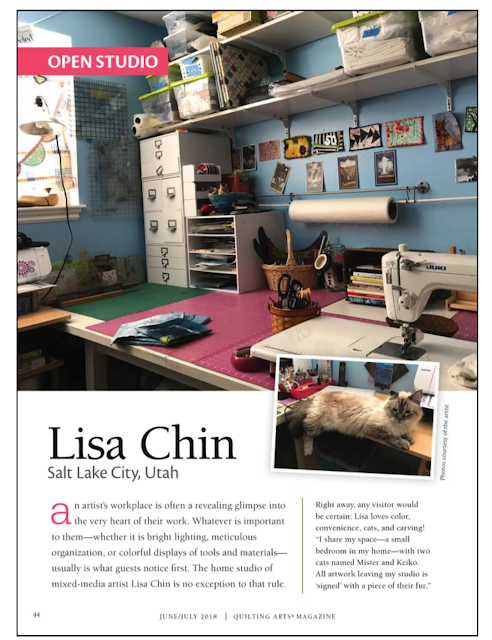 Lisa, Loved seeing your studio and also loved the article!! Yipee, glad to see you in QA!